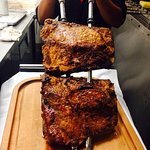 Brazilian BBQ with Friendly staff and G...They also do grilled pineapple.... mignon, garlic sirloin, lamb, etc.) .I'm from Brazil so I know a thing or two about the churraco. Rita, it was our pleasure to host your son's birthday celebration. Thank you for bringing the issues you mentioned to our attention. We hope you'll join us again in the future. Didn’t have a reservation but they easily accommodated us. Very fast service and beautiful meat...especially the meat! They also do grilled pineapple. I didn’t try it but people I were with did and they thought it was delicious. Very cool place! Thank you for reviewing your recent visit! We're glad you enjoyed yourself, and hope to see you in again soon. Nice place, good food. Had a good time. Great meat. Some better then others. Found parking very easy too. Thank you for the kind review! 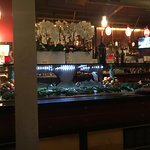 We are happy to hear how much you enjoyed dining with us and we hope to see you again soon for more. Vei, thank you for your review and recommendation! We're thrilled to know you enjoyed such a memorable meal with us. We're happy you chose our restaurant to celebrate Thanksgiving! We appreciate the kind words and we hope to see you again soon. We Went there with other couple. The restaurant is verry loud.Difficult to have conversation. Price is high compared to restaurants with better food and service. Cannot reccomend. We're sorry you weren't impressed with your visit. Thank you for your feedback. Thank you for taking the time to share such a great review! We look forward to seeing you in again soon. Another all the protein you can eat place. Not cheap but for a different dinner experience it was fun. Thank you very much for taking the time to leave a generous review. We wish you all the best and look forward to seeing you again.Take care! 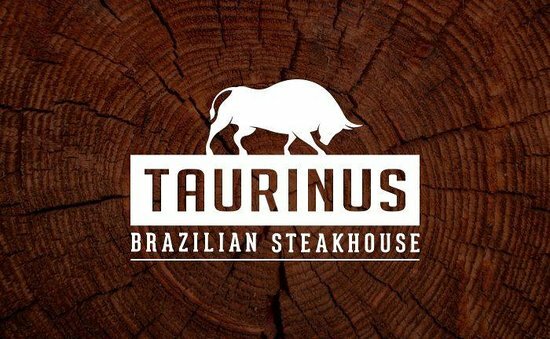 Get quick answers from Taurinus Brazilian Steak House staff and past visitors.